A healthy way to make a strawberry frozen treat! 1.) 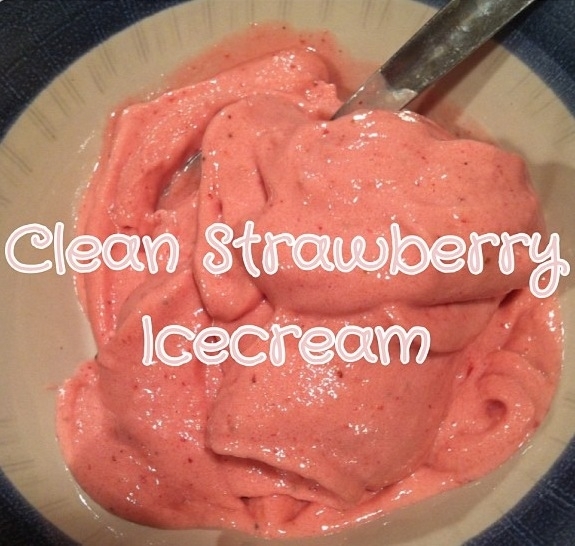 Place in a food processor and blend!